Eyelash Extensions: Yea or Nay? If you were granted three wishes from a genie, would one of them be for naturally thicker, fuller eyelashes for the rest of your life? You’re not alone in that. There are an abundance of tutorials from makeup artists on sites like YouTube and Pinterest and, almost as one unified collective, they all tout the benefits of thick, full eyelashes. After all, the definition of thick lashes makes your eyes stand out and helps frame your entire makeup look – so much so that women across the globe are trying all sorts of different methods to boost their eyelashes’ eye-enhancing power. 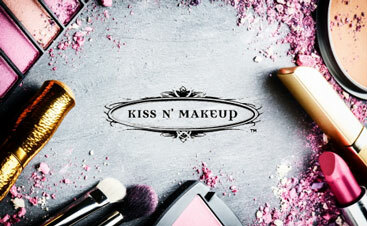 At Kiss N’ Makeup, we want to help you enhance your features with the best products and most on-point techniques. Which is why the Kiss N’ Makeup team do not apply eyelash extensions! 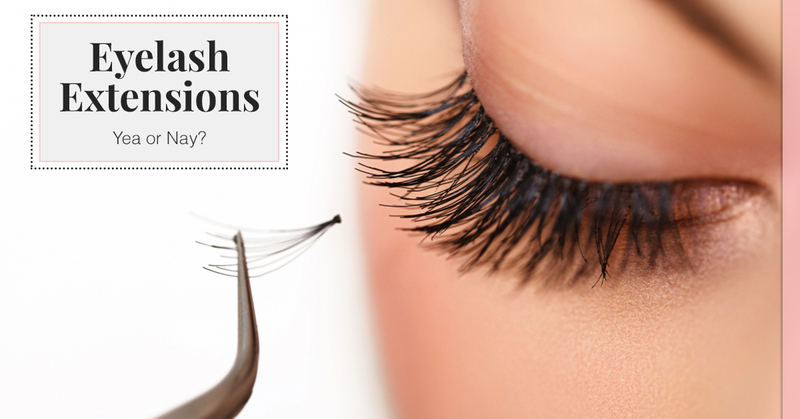 Don’t worry, your apply-daily falsies may still be safe, if more time-consuming. When we talk about eyelash extensions, we don’t mean all false eyelashes, just the variety that are applied one lash at a time to your natural lashes by an esthetician. At the surface, this option of eyelash enhancement may seem like a great idea. You get a custom eyelash look that lasts because false eyelashes are applied with a special adhesive to your natural lashes. Think about it like getting sewn-in hair extensions; eyelash extensions look natural, usually last three or four weeks, and you can treat them much the same way you would care for your own eyelashes. Sounds pretty perfect, right? Unfortunately, for as great as they sound upfront, eyelash extensions are not great for you. The problem with eyelash extensions is twofold; problems with both the method of adhesion and weight can make for a situation that wrecks your natural eyelashes. First, the glue used to apply eyelash extensions is not the same easy-to-remove product used to keep your falsies in place. It’s made to keep extensions attached for up to a month, so it’s stronger and more durable. However, it can also cause your eyelashes to dry out because many of the makeup remover products, especially oil-based ones, can remove the adhesive and are not recommended for use while you have eyelash extensions. So, that bit of extra nourishment your eyelashes get every night from your eye-makeup remover? Gone. In addition to potential problems with the adhesive, eyelash extensions can also put a strain on your natural lashes and follicles. The problem is that you’re adding extra weight to your lashes. If an extension lash gets adhered to two of your own lashes, it can pull and tug enough that your eyelashes get pulled out. If you have too many extensions applied, you stand to lose most, if not all of your own eyelashes. And, if you accidentally itch or tug, you can exacerbate the process. The weight of eyelash extensions, in turn, puts strain on your follicles, which may result in your eyelashes growing in more sparsely and more brittle or thin – the opposite of the effect you want! Instead of potentially damaging your eyelashes with eyelash extensions, the Kiss N’ Makeup team offer healthier alternative methods for getting the full lash look you want. Make an appointment with one of our expert makeup artists today to learn more!